Communities are working together to make positive changes to where they live as part of an environmental improvement scheme. 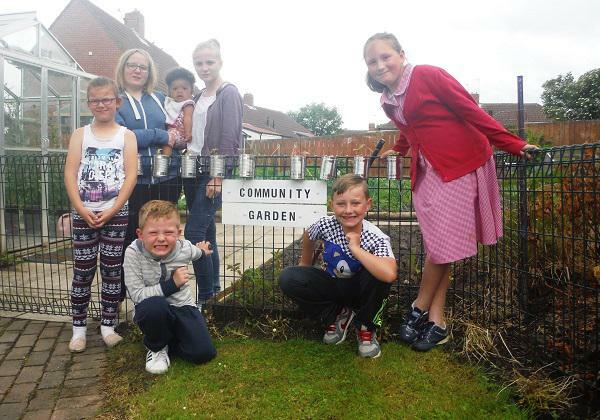 The Growing Forward Together group aims to bring residents, children and businesses from Trimdon Station and Deaf Hill village together to improve their community. The group, which has been developing informally over the past 18 months, is made up of residents, local county councillors, members of Trimdon Foundry Parish Council, pupils from Deaf Hill Primary School, Trimdon Station Residents Association, Trimdon Station Community Centre, East Durham Rural Corridor AAP, local housing providers and local businesses. The Growing Forward Together group has seen a number of litter picks in hotspot areas being organised with the help from pupils of Deaf Hill Primary School and young people from the Trimdon Station Community Centre Youth Club. More work includes thousands of spring flowering bulbs opposite St Aidans Terrace, planted by the school children, and daffodil pots supplied to residents of Tobin Street bungalows. After replacing the seating and installing new planters along Wingate and Thornley Road in Deaf Hill and Trimdon Station, the group have also teamed up with Trimdon Foundry Parish Council to improve the Heritage Trail and the T-junction at the Foundry Fish Shop. The Trimdon Station Residents Association Fun Club Fun is also chipping in to enhance the wildflower area at Laburnum Crescent, Trimdon Station. The group is currently looking to improve all three entrances to the villages and install additional floral displays which will support the work done by Trimdon Foundry in Bloom. Cllr Lucy Hovvels, Durham County Council’s Cabinet member for adult and health services, as well as councillor for Trimdon and Thornley, who provided some funding for the group, said: “It’s great to see so many people taking an interest and pride in their local community and we hope that even more people join in. “Residents are welcome to come along to the next Growing Forward Together meeting held on Friday 16 September, 12.30pm at Trimdon Station Residents Association, May Crescent. For more information contact the Civic Pride team by emailing civicpride@durham.gov.uk or by calling 03000 261 000.